Scenes from a boudoir photography session in Boston, MA. Deep cuts from the early 'Aughts. Pictured: A galvanized metal bucket covered in morning dew, perfect for tossing your unwanted wedding decisions into for later consideration. There is a myth in wedding planning - reinforced by reams of charts and checklists, thousands of blogs and Pinterest posts - that there is one true way to have a wedding and that if you're falling short of that then everyone's going to laugh at you. It's the kind of thing that turns wedding planning from planning a fun party into an endless slog through swatches of ecru and eggshell all in search of some Platonic ideal of a wedding. 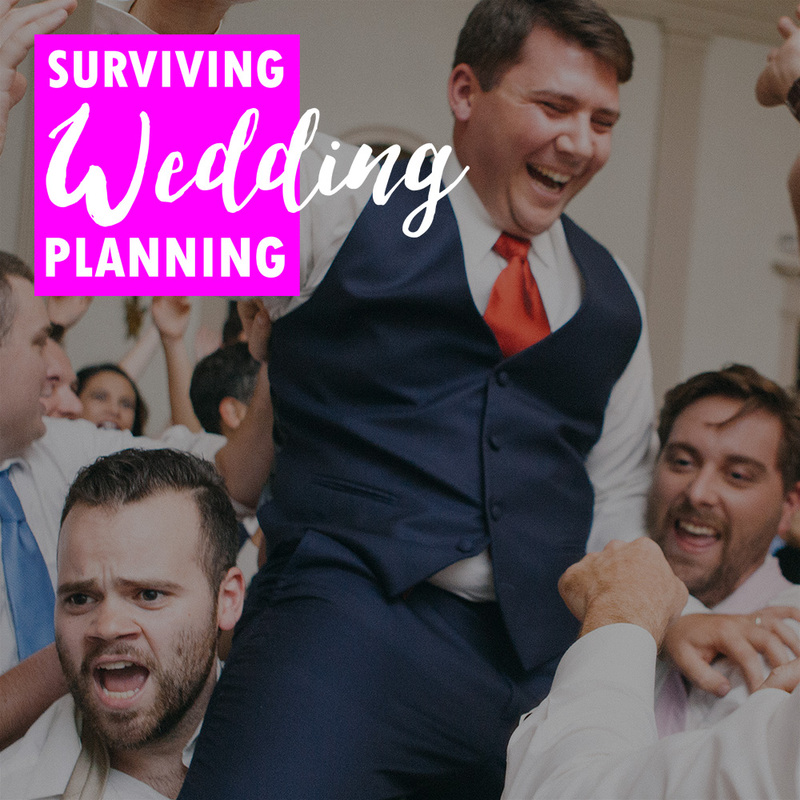 So let me introduce you to the most powerful tool in wedding planning, that will help save you time, money and mental health as you put together your Boston wedding. And this is probably the last time there will ever be a picture of your favorite Boston Wedding Photographer, Ryan Richardson, on this blog. Here is am manning a wedding show booth trying not to eat all the chocolate I brought. Wedding shows can be a great way to find out about trends, meet vendors and get free cake samples. But whether the fair is big or small, there's a lot to see and navigate so your favorite Boston wedding photographer has a couple of tips to make the most of a show. Good guests are game for anything a wedding throws at them and aim to make things as easy as possible for the couple planning their wedding. These guests from a Hamilton Hall Wedding in Salem, MA were especially good.